Thanks to Cathy Marie Buchanan, and her new novel The Painted Girls, the Belle Epoque in Paris is fully alive, as well as dark and dangerous. Over the years I have had the opportunity to view several exhibitions of paintings by Edgar Degas. His paintings of ballerinas are especially poignant and, while he painted dancers on stage performing, he also painted what most people never get to witness: tired dancers resting on a bench, bored dancers scratching their shoulders, nervous dancers putting on practice shoes. 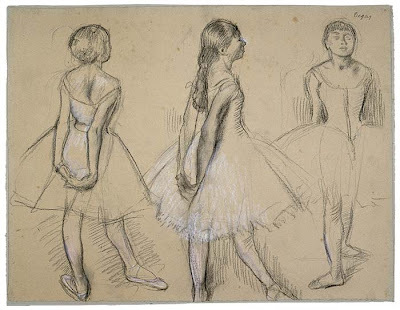 Degas went into the dance studios and hired young dancers to come and pose for him in his studio. 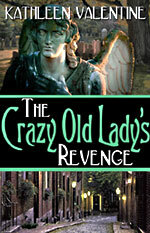 Cathy Marie Buchanan’s book takes us even deeper into their lives. 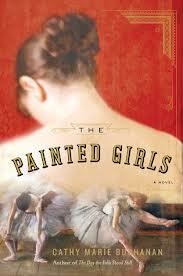 The story is a fictionalized account of the Van Goetham sisters: Antoinette, Marie, and Charlotte. After the death of their father the three sisters struggle to survive in the slums of Paris with their absinthe-addicted mother. If you are looking for a pretty fairy-tale about ballerinas and actresses and lives of glamour and glory, you are in for a surprise because the lives of young, poor Parisian girls of this period were anything but glamorous. Antoinette, the eldest sister, is fortunate to have a part in a new play by Emile Zola, but she also works in the same laundry as her mother to pay the bills. Marie and Charlotte have been accepted into the dance school of the Paris Opera but Marie rises early to knead bread in a bakery before going to class and takes jobs modeling to help the three sisters and their mother keep a roof over their heads. Life is far from pretty. ntoinette falls madly in love with an alluring but brutish boy of the streets and we soon see her headed down a path that will lead to no good. She loves him deeply but he has little future. He spends his time in taverns drinking with worthless companions while she labors in the laundries. Marie, on the other hand, knows she has talent but in order to improve her dance skills she needs private lessons. 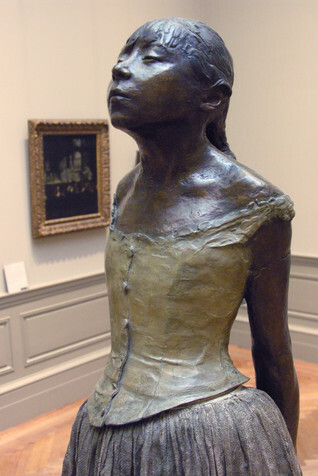 She pays for these by posing for Edgar Degas and is, ultimately, the model for his poignant statue, Little Dancer Fourteen Years Old. The story is both beautiful and harsh. The only way for young dancers, who are not from privileged backgrounds, to survive is to acquire a protector – an older, well-to-do man who will buy their slippers and feed them well in exchange for their affection. Life for young women and girls in Paris is full of peril and can go in a very wrong direction, very quickly. Buchanan’s Paris is rich and sensuous but also dark and perilous. Her writing is much like a painting by Degas, beautiful and graceful but depicting harsh realities that all the beauty cannot disguise. It is also the story of three sisters driven by the things sisters are always driven by jealousy and competitiveness but also deep, deep love. I loved this book. I loved the honesty of the writing and the complexity of the sisters and the people in their lives. It is not a book for someone wanting a pretty fable, it is a powerful story about people you can understand and sympathize with. This is the dark side of Belle Epoque Paris but, as every artist knows, it is the shadows behind figures in a painting that make them come alive.